The 1971 Italian Grand Prix was a Formula One motor race held at Monza on 5 September 1971. It was race 9 of 11 in both the 1971 World Championship of Drivers and the 1971 International Cup for Formula One Manufacturers. This race featured the closest finish in Formula One history, as Peter Gethin beat Ronnie Peterson by 0.01 seconds. The top five were covered by just 0.61 seconds, with François Cevert finishing third, Mike Hailwood fourth and Howden Ganley fifth. With an average speed of 242.615 km/h (150.754 mph), this race stood as the fastest-ever Formula One race for 32 years, until the 2003 Italian Grand Prix at Monza. 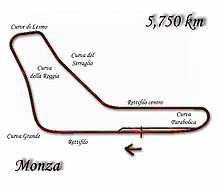 The rather simplistic Monza National Autodrome, located just north of the northern Italian city of Milan, had recently become the fastest circuit used by Formula One at the time (after the Belgian Spa-Francorchamps circuit was removed from the calendar)- for only one year, as it was modified with chicanes to slow the cars down for the next and subsequent year. With the championship settled, this was an opportunity for new drivers to prove themselves. Chris Amon in the Matra proved an embarrassment to Ferrari by seizing pole at their home track with the fastest lap of all time in a Formula One championship race, lapping at 156 mph (252 km/h), with the BRM's on the second row, whilst champion Stewart was in 6th after suffering gearbox problems. Mike Hailwood was making his debut for Surtees—an inspired choice as he held both the Formula 5000 and motorbike lap records for Monza. Clay Regazzoni's Ferrari thrilled the crowd by surging forward from the fourth row to lead from Jo Siffert and Stewart until lap 3, when Ronnie Peterson took the lead. On lap 7, Stewart took the lead. By lap 16, Stewart and Jacky Ickx retired with engine problems, followed two laps later by Clay Regazzoni. The race began to break into high-speed packs—the leading one containing Hailwood (leading on his debut), François Cevert, Peterson, Siffert, Howden Ganley, Chris Amon, Peter Gethin and Jackie Oliver. Gethin, Peterson, Cevert, Hailwood and Ganley (who fell back slightly) battled right down to the line and all finished within two-tenths of a second of each other. Siffert dropped back after problems with a gearbox that would only select fourth gear. Emerson Fittipaldi drove a four-wheel drive Lotus 56B powered by a gas turbine, the only time he would race in a Formula One World Championship race in a car not powered by a Ford Cosworth DFV engine. Due to ongoing legal issues between Team Lotus and the Italian authorities following Jochen Rindt's death the previous year, the car was entered under the name "World Wide Racing". Tyrrell-Ford won their first Constructors' Championship with two races remaining. This was the last race ever to be held on the extremely fast, chicane-less Monza circuit. Chicanes made of tyre walls were installed for the following year's race. This was the fastest race lap at 242.615 km/h (150.754 mph); a record which stood for 32 years until the 2003 event. This was the closest finish in Formula One history, as Peter Gethin beat Ronnie Peterson by 0.01 seconds. This was the only win for Peter Gethin. This was also the final win for an English driver until James Hunt won the 1975 Dutch Grand Prix. ^ "Motor Racing Programme Covers: 1971". The Programme Covers Project. Retrieved 13 November 2017. ^ "1971 Italian Grand Prix Entry list". ^ a b All-Time F1 Records Times in this race were only measured to the nearest hundredth of a second (0.01 seconds), so the finish may or may not have been closer than that of the 2002 United States Grand Prix, where Rubens Barrichello beat Michael Schumacher by 0.011 seconds. ^ Schaefer, Michael; Diepraam, Mattijs (14 September 2003). "Fastest races and laps ever". Autosport. Retrieved 9 January 2016. ^ "1971 Italian Grand Prix". formula1.com. Archived from the original on 2 August 2014. Retrieved 22 December 2015. 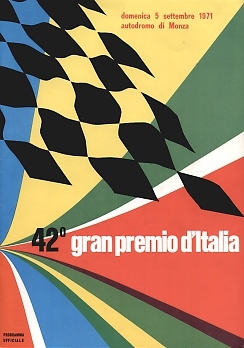 ^ "Grand Prix results: Italian GP, 1971". GrandPrix.com. Retrieved 18 December 2016. ^ a b "Italy 1971 - Championship • STATS F1". www.statsf1.com. Retrieved 18 March 2019. "1971 Italian Grand Prix (full race)". Retrieved 27 August 2015. This page was last edited on 25 March 2019, at 09:09 (UTC).